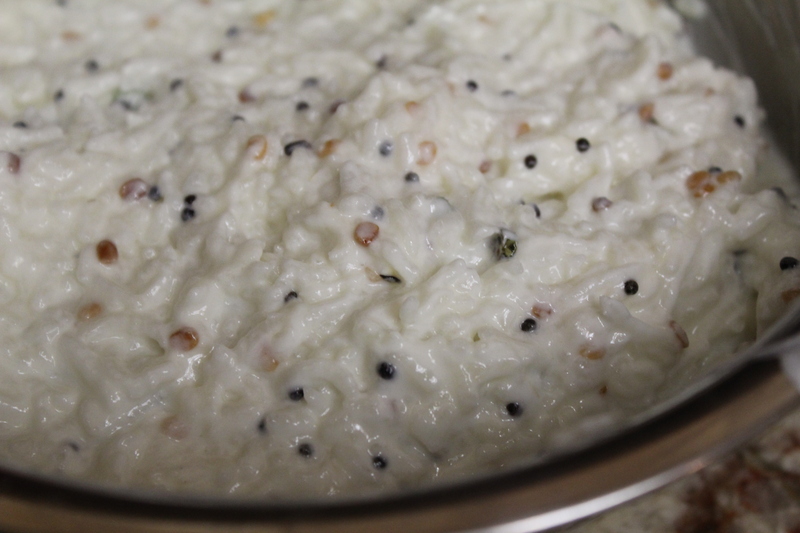 The ultimate experience in comfort food is simple curd rice. I love eating this dish at any time of the day and week. While simple mixing of rice and curd is good enough, my preference is to make the Bagalabath with all the extra paraphernalia. This makes it more eye pleasing and tongue pleasing as well. The preparation itself is actually very easy and quick. Also you can add extra vegetables like cucumber or shredded carrots to make it extra healthy. Of course accompanying with a lemon pickle or mango pickle makes it irresistible. Mash the cooked rice coarsely. Heat the coconut oil and add the mustard seeds and once it sputters, add the urad dal. Once the dal is brown, add ginger and chilli. Remove after a 10-20 secs. Transfer this mixture onto the cooked rice and then add the thick curd and salt. Mix all of it together. You can also add shredder carrots or cut cucumber to this for added taste, but it is optional. 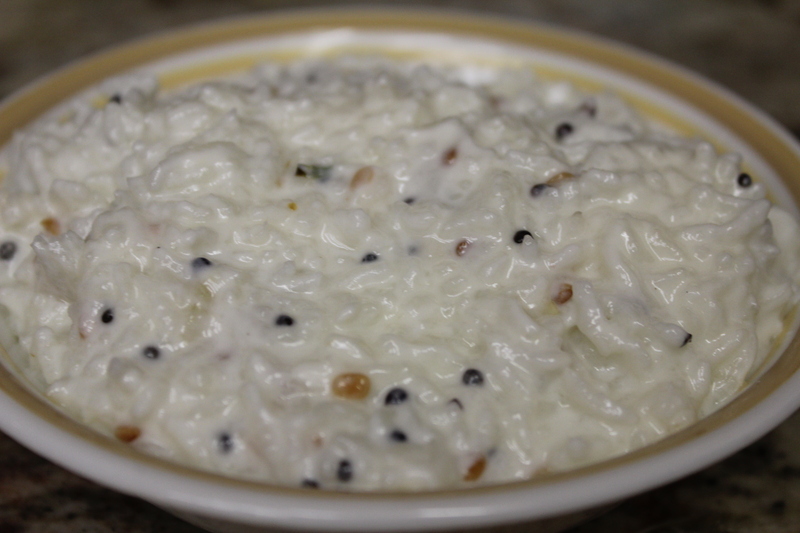 Curd rice is always yumm!! Absolutely agree with you :). And it is always easy to make and delish to eat and easy on the tummy as well…extreme comfort food.